The French Quarter is the heart of New Orleans and a testament to its colorful past, where cultures, music, cuisines, and history create an irresistible tapestry that is pure magic, with a dash of ’round the clock joie de vivre. And what better way to explore this one-of-a-kind place and one of the oldest neighborhoods in the U.S. than to stay right in the middle of the action? These five boutique hotels are located in and near the French Quarter, so you’re never far from all that the neighborhood has to offer — whether you want to dance the night away to a brass band, take a stroll to take in the breathtaking architecture, or sample every Creole dish you come across. You can explore the streets of the French Quarter to your heart’s content, and then enjoy the welcome respite from the bustle and relax by the pool, hit a happy hour or grab a bite in one of the hotels’ bars and restaurants, or simply enjoy the view from your room or your balcony. 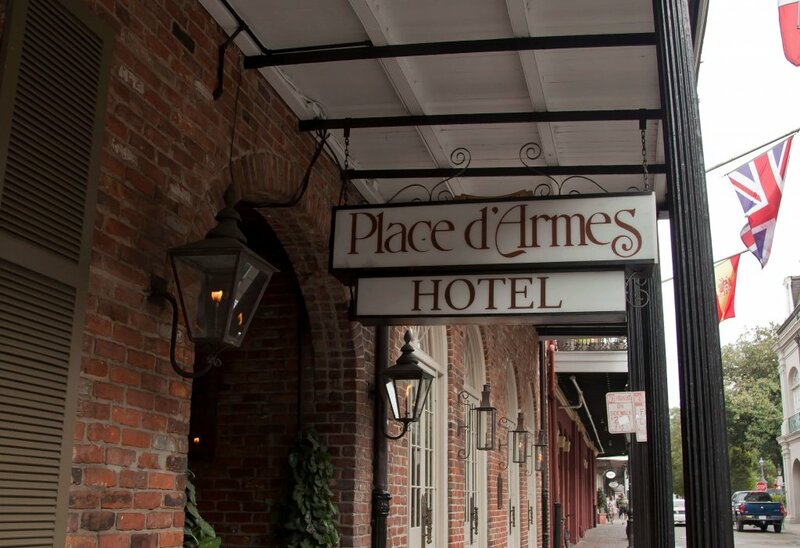 Hotel St. Marie serves up classic French Quarter atmosphere with modern amenities. Its European-style decor delivers luxurious touches like chandeliers and period paintings. The meticulously restored exterior is lined with wrought-iron balconies overlooking the action, only half a block away from Bourbon Street and mere four blocks from Jackson Square and the St. Louis Cathedral. Hotel St. Marie recently experienced extensive renovation of all of its guest rooms. While it still retains its old-world charm, the bathrooms were outfitted with walk-in showers, and other modern amenities were updated. The tropically landscaped courtyard contains a saltwater pool and patio seating. The on-site Vacherie Restaurant & Bar is three in one: restaurant, bar and cafe, which are all located next to one another on the first floor. The cafe serves up snacks and things like sandwiches, perfect on the go. You can also hit the full bar for the daily happy hour 3-7 p.m., with food served nightly until 10 p.m., and the artfully crafted cocktails flowing. The $5 bar menu includes spicy chicken wings, deviled eggs, alligator sausage, and a cup of seafood etouffee. You can also try the slider of the day special. To drink, $5 will get you a cocktail like the Pimm’s Cup, a glass of any of the house wines, or a draft beer flight (three half-pints of your choice). The elegant yet low-key Vacherie restaurant serves authentic Cajun cuisine with a few inventive twists, focusing on homestyle Cajun and regional Louisiana fare like BBQ shrimp and grits or crabcakes. 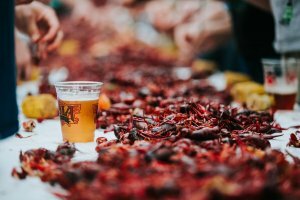 You can also try the Taste of Vacherie Sampler, which represents the menu perfectly with okra & seafood gumbo, crawfish etouffee, smothered collards, and fried green tomatoes with remoulade. Vacherie’s breakfast menu is served daily starting at 7 a.m. There’s also Saturday and Sunday brunch till 2 p.m. Make your own Bloody Mary or Bloody Rita (with tequila instead of vodka) from the DYI Bloody Mary bar that has all the fixings, including house-made pickled okra and pickled jalapeno. Standout features: European-style decor with luxurious touches; outdoor pool; tropical courtyard; on-site restaurant, bar, and cafe; recently renovated; half a block away from Bourbon Street. 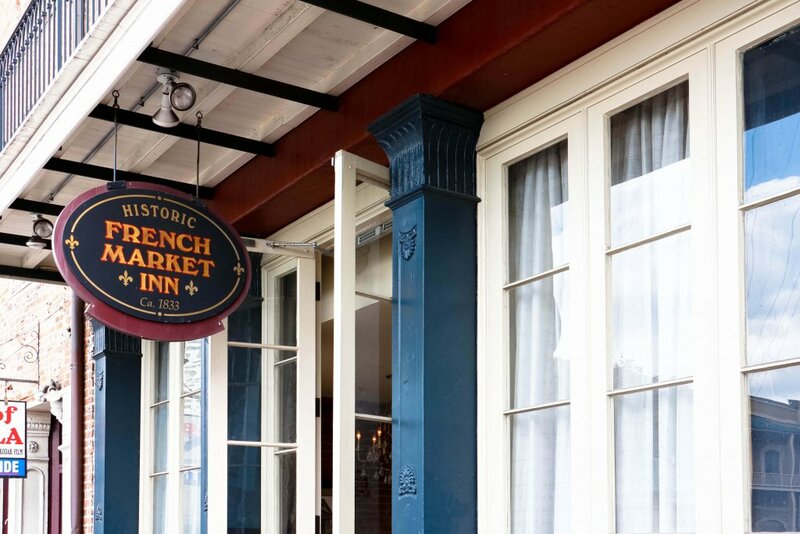 French Market Inn is located on a busy block of Decatur Street, just steps away from the Mississippi Riverfront and within six blocks of renowned New Orleans attractions like Jackson Square, the French Market, Aquarium of the Americas, Bourbon Street, and Harrah’s New Orleans Casino. The hotel’s balconies, overlooking Decatur Street, offer great views of the River and the vibrant neighborhood. This historic hotel boasts a serene, private stone-paved courtyard with a saltwater pool, a fountain, and a beautiful tropical garden. Its antique brick facade opens onto a lobby adorned with period paintings, chandeliers, and columns, with period details throughout the building. Since this historic property dates back to the 18th century, every guest room has its own distinct character. The first property records date as far back as 1722, and it was used in the past as a bakery and a family residence. In the early 1830s the Baroness Pontalba y Almonaster bought the bakery and the surrounding lots and turned it into an inn. In 1832, the first hauntings were recorded, and to this day the hotel is considered to be haunted. French Market Inn had undergone renovation in 2015. The on-site PJ’s Coffee has something fresh brewing daily, from 6 a.m. to 9 p.m.
Standout features: Property dates back to the 18th century; period details throughout, including antique brick facade and beamed ceilings in the guest rooms ; outdoor saltwater pool; tropical courtyard; on-site cafe; recently renovated; central location a short walk away from the Mississippi Riverfront and blocks away from many French Quarter attractions. Place d’Armes Hotel embodies old-world charm inside and out. It occupies two restored historic townhouses dating back to the 18th and 19th century, located on a quiet block of St. Ann Street, steps away from Jackson Square (which used to be called Place d’Armes, hence the name). Guest rooms facing both the street and the courtyard have wrought-iron balconies, and feature exposed brick, conveying the traditional, old-word ambiance of the French Quarter. 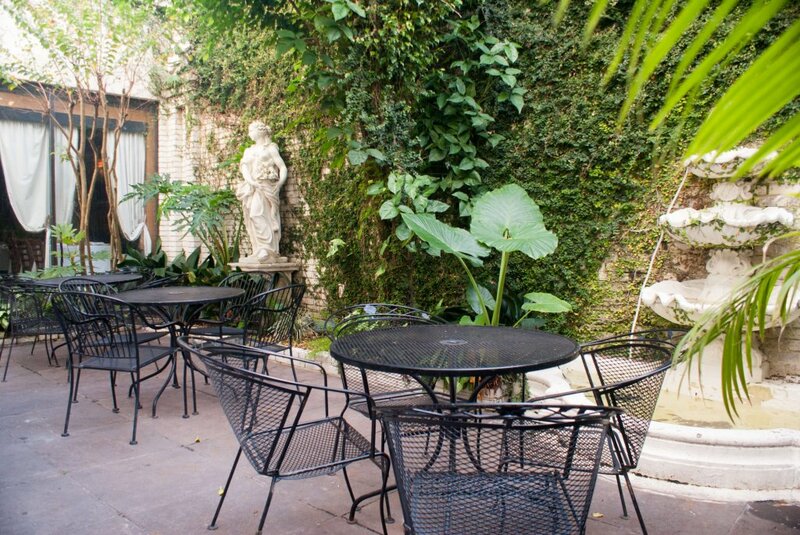 The hotel’s courtyard is particularly enchanting, showcasing a variety of tropical plants, fountains, and a saltwater pool under the magnolia trees. Place d’Armes is a popular stop on haunted walking tours, due to the hauntings recorded there after the school burned down on the hotel’s site in the 1800s. Standout features: Property dates back to the 18th century; central location right by Jackson Square; outdoor saltwater pool; stunning courtyard with patio seating; complimentary continental breakfast. 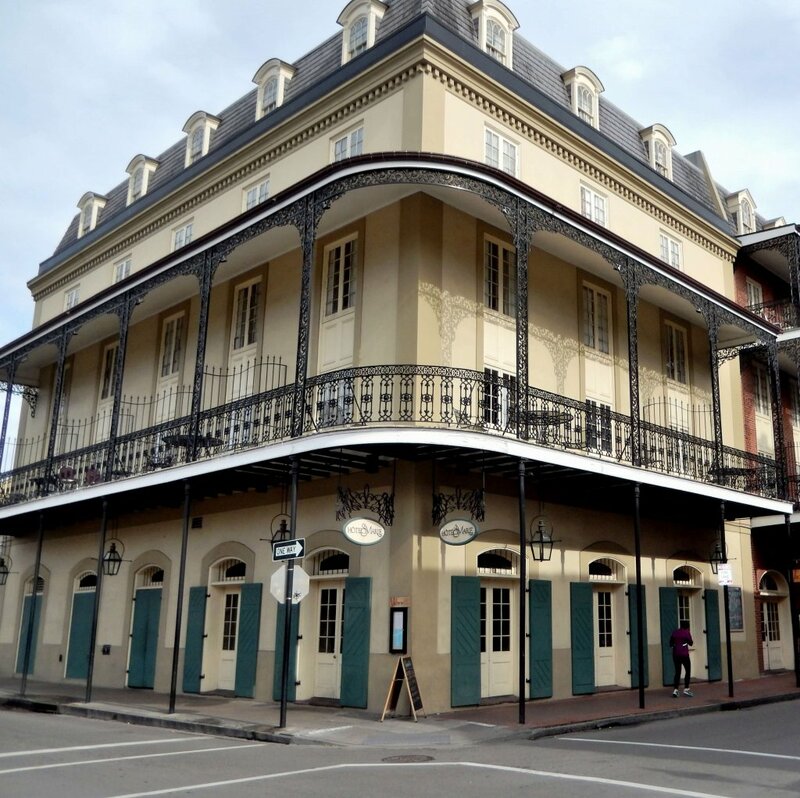 The beautifully appointed Prince Conti Hotel sits in the heart of the New Orleans French Quarter and is just steps away from the non-stop party of Bourbon Street and the shopping and dining destinations of Canal and Royal Streets. It is housed in a historic 19th-century townhouse, which sports a carriageway and plenty of European charm. Some of its rooms feature exposed brick and four-poster beds, and renovations are underway to update the amenities and the interior’s rich colors and moldings, adding touches of opulence and the classic New Orleans charm. Despite its proximity to the 24/7 action right outside its windows, Prince Conti Hotel offers a quiet respite from it all, an oasis with an elegant yet relaxed vibe. The on-site Cafe Conti has a casual breakfast and lunch menu from 7 a.m. to 3 p.m., with a focus on French and Creole cuisines. There you’ll find sweet and savory crepes, eggs Benedict, and local favorites like breakfast po-boy, shrimp and grits, and Croque Madame. The Bombay Club & Martini Bistro, tucked away down the carriageway at the back of the Prince Conti Hotel, has more than 50 specialty cocktails on the menu. It specializes in martinis but also has an extensive selection of single malt scotches, ports, reserved bourbons, and premium cigars. 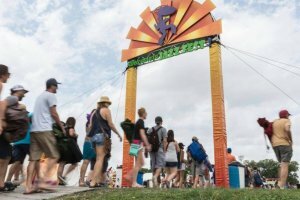 You’ll find that its happy hour is popular with the visitors and the locals alike, with $3 beer and wine and a $5 cocktail of the day. The $4 small plates from Executive Chef Phillip Todd are fresh takes on Cajun and European comfort food: Boudin Rangoons, Cajun Poutine with pimento, pork belly tacos, and house-made pretzels with Guinness cheese dip. The Bombay Club is also a popular choice for the nightly local live music, including jazz and cabaret performances. 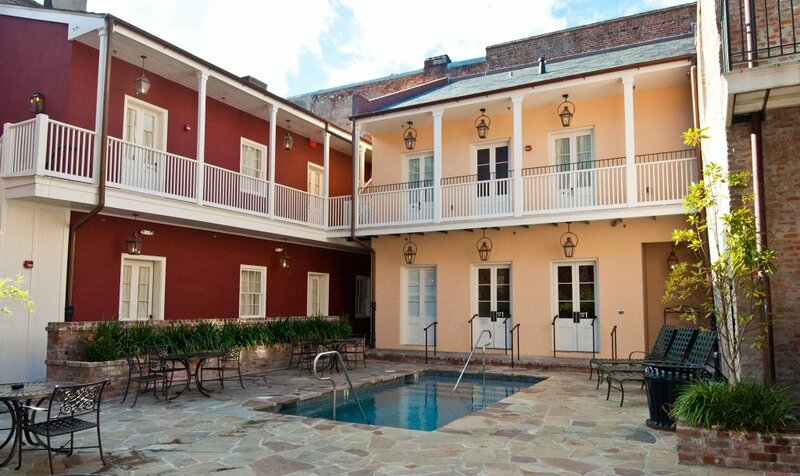 Standout features: Central location and proximity to Canal and Bourbon Streets; historic European charm with luxurious touches like four-poster beds; on-site cafe serves breakfast and lunch; the on-site restaurant has a full bar and live music. Although this hotel is located not in the French Quarter but in the center of the Historical Arts and Warehouse District in the Central Business District, we’re including it because it’s only a 20-minute walk or a short ride away from the Quarter (five blocks to Canal Street and the beginning of the French Quarter). Its close proximity to the Ernest N. Morial Convention Center, the Superdome, the New Orleans Riverwalk, and The National World War II Museum is also notable. 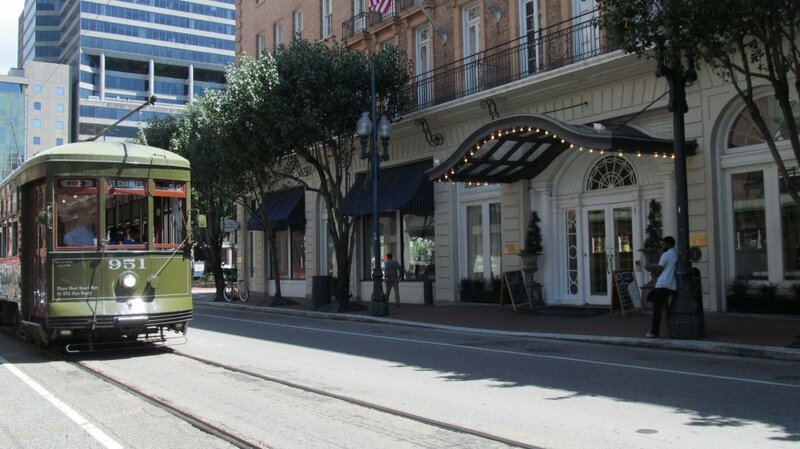 Lafayette Hotel is a French Regency-style hotel, housed in the 1916 landmark, which overlooks the lovely Lafayette Square on the St. Charles Avenue Streetcar line. The guest rooms and suites are luxuriously decorated, some have four-poster beds. You’ll find such features as mahogany accents, French doors, lavish fabrics, marble floors, and wrought-iron balconies throughout. The hotel is also pet-friendly (up to two dogs, 40 lbs weight limit, and with a $65 fee). The on-site upscale Desi Vega’s Steak House is an elegant, high-ceilinged space with street views and lots of room. It’s overseen by the co-owner and managing partner of Mr. John’s and Desi Vega’s Steakhouses, who had worked with and had been mentored by the best of the culinary talent in town, including Ella Brennan and Emeril Lagasse. New Orleans native Chef Merlin “Muggsy” Beals, Jr. is the driving force behind the restaurant’s menu of classic ribeye and filet mignon, seafood and sides, but with local touches like Andouille and crawfish mac ‘n’ cheese named after Freddie McAfee, a former New Orleans Saints player. There are two full bars flanking the staircase at Desi Vega, with a daily happy hour from 4 p.m. to 7 p.m. and $4 beer and $5 cocktail specials. Standout features: Centrally located in the Arts and Warehouse District/CBD; overlooks a romantic Lafayette Square; the building dates back to 1916; five blocks away from the French Quarter; on-site classic steakhouse. All these hotels offer airport shuttle service and valet parking for a fee, and complimentary WiFi access. Children age 12 and under stay for free. The pools are not open to the public, only guests. When you’re a guest at any of Valentino Hotels you are able to access the pool at any other hotels.